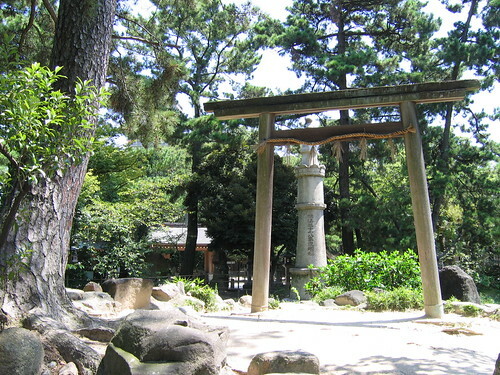 A torii in the garden of the Ebisu shrine. Nishinomiya Jinja is the head of the Ebisu shrines in Japan, which number more than 3500. 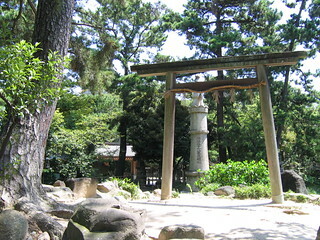 The grounds contain three seperate enshrinements to different deities. The actual date of its founding are unknown, but evidence suggests it dates back to the Heian period, probably around 1250.